A draft copy of the committee’s report on mortgage arrears seen by TheJournal.ie contains strong words for the Central Bank. THE JOINT OIREACHTAS Committee on Finance has strongly criticised the approach to mortgage arrears employed by the Central Bank. In a draft copy of the Committee’s report into the mortgage arrears crisis, which will be published this afternoon, the Committee rejects the Central Bank’s acceptance of legal solutions as “sustainable”. …rejects the Central Bank’s general acceptance of legal solutions as “sustainable” and requests the Minister to step in in line with his own comments that legal letters are not satisfactory solutions. The issuing of a legal letter to a borrower has been accepted by Dame Street as proof that the loan is being sustainably managed, and has allowed banks to shift large amounts of non-performing loans into the category. Appearing at the Finance Committee in April, Central Bank governor Patrick Honohan said that he sympathises with borrowers that have received letters from banks threatening legal action, but said it showed banks were deploying solutions. The report states that the Committee is “clear in calling for renewed vigour and purpose in accelerating the resolution of the mortgage appears crisis”. The Committee notes with regret the increasing number of people losing their family homes since the MARTs began and believes that the banks have failed to grasp the full potential of the process to reach fair and sustainable solutions which keep families in their homes. 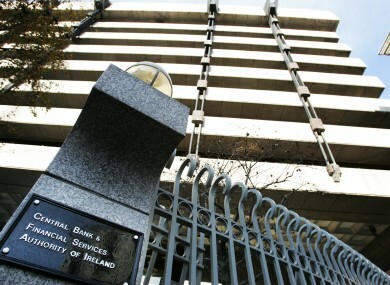 Email “Finance Committee tells Central Bank: legal letters to crisis mortgages aren't 'sustainable'”. Feedback on “Finance Committee tells Central Bank: legal letters to crisis mortgages aren't 'sustainable'”.